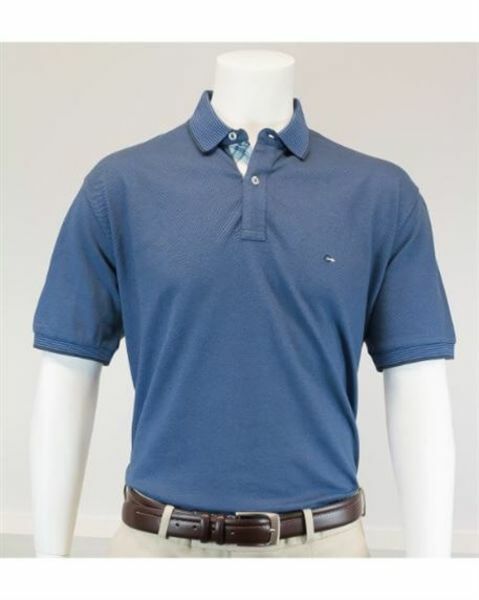 Mens Cotton Polo Shirt in blue. Pique collar with button placket. Mens blue polo, cut from soft organic cotton. Pique collar with button placket. Embrace smart casual with our range of mens polos.